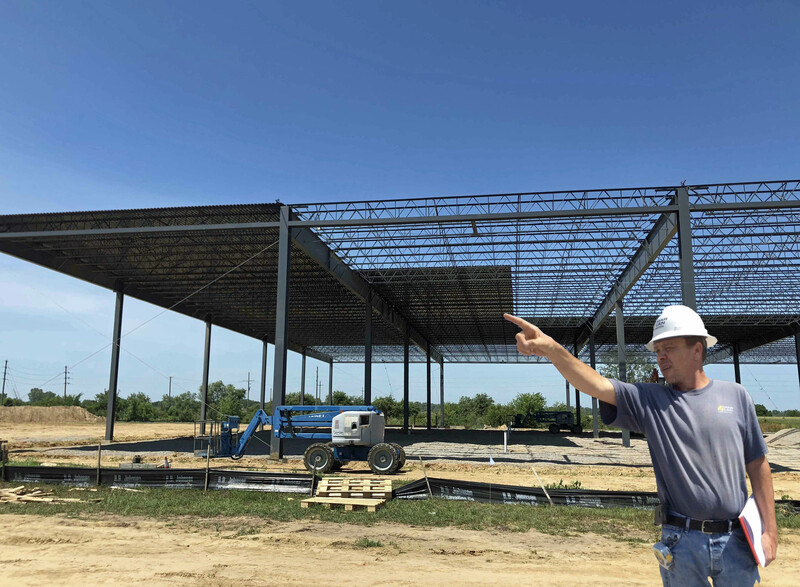 Plastikon Healthcare in the East Hills Business Park has the iron structure in place, decking has been applied, and 61 exterior pre-cast wall panels are being installed. As we reported in the last newsletter, the project broke ground in March and the new structure is rapidly taking shape. The components of the pre-engineered metal building arrived earlier in the month of June. Job Superintendent, Steve Schrader is keeping great progress on this project.